To end homelessness for women and children through hospitality, housing, and hope. The number of homeless women and children in Birmingham, AL was both startling and growing in the early 1980s. While several men’s emergency shelters existed in that period, no social service agency provided any support for homeless women during daylight hours. In 1985, a small group of professional women from the Cathedral Church of the Advent (St. Mary’s Guild) partnered with Greater Birmingham Ministries (GBM) to fill that critical gap, believing that “wrap-around” services were needed during daylight hours to assist homeless women in their return to a life of dignity and self-sufficiency. Over the past thirty years, St. Mary’s Center became an independent 501(c) 3 agency (renamed, Birmingham PATH) and later merged with another non-profit agency, Bread & Roses, to become Pathways, a United Way Agency. Thus, Pathways is the oldest, continuously operating agency in Birmingham, dedicated to serving homeless women and their children. Today, Pathways continues to offer a range of services for homeless women and children through the Day Center and Safe Haven programs. The Day Center, located in downtown Birmingham, meets the basic needs of homeless women and children by providing hot meals, clothing, showers, and laundry facilities. Those living on the streets and in emergency shelters are welcome at the Day Center. Over the years, it became obvious that families need more than shelter to escape homelessness. This is why Pathways began providing case management services to those living on the streets and educational and enrichment programs for all guests.  Pathways provides housing and supportive services to approximately 1,500 women and children annually. Many things have changed and evolved over the years for Pathways, but one thing remains the same: our unwavering commitment to homeless women and children in Birmingham. 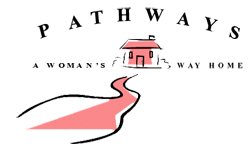 Pathways invites you to learn more about how you can be a part of our story by exploring our web site. Here you will learn more about our programs and how you can help us serve homeless women and children.